Foothill Tile & Stone Co. is a luxury tile and stone showroom located northeast of the beautiful city of Pasadena and also in La Canada. Both with beautiful views of the majestic San Gabriel Foothill mountains. Fifteen years ago Pasadena locals Vincent Chow and his wife Carmel, saw the need for a tile and stone showroom that offered more than just plain mass market tile. Coming from the fashion and marketing industries, their expertise in design and color informs their creative viewpoint of the vast media of tile and stone. 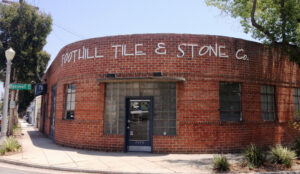 This unique approach set Foothill Tile & Stone Co. on its’ successful path and paved the way for this now thriving local business. Foothill Tile & Stone Co. offers a wide array of materials from new innovative stone mosaics and contemporary glass to classic and stylish artisan hand crafted tile. Understanding that tile is an art form, our focus is to create spaces that are beautiful and unique for each of our clients while catering to each and every budget. Our experienced and knowledgeable consultants will guide you through product selection and serve as your valuable partner throughout the design process. We invite you to come to our beautiful Pasadena showroom to experience for yourself the diversity and depth of our collections and endless possibilities.